Someday, years from now I want my children and grandchildren to think I was tough, that things were so much harder when I was young. But, the problem is I never had to walk 30 miles to school during the coldest winter in history. 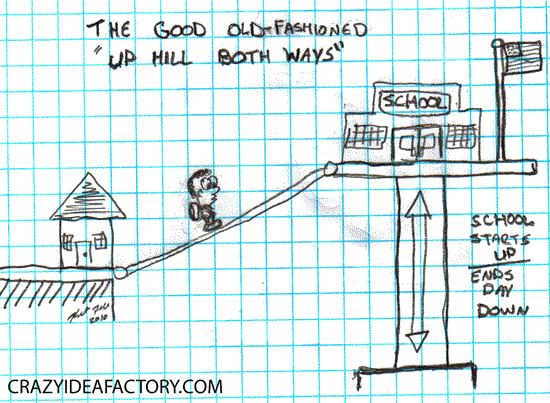 And I don’t remember ever having to walk to school up hill both ways. To remedy this I propose building a “tough camp” where the camper must do things like walk up hill both ways to school, wrestle grizzly bears, and buy bottles of Coca-Cola for a nickle. Then after attending the “tough camp” attendees will be able to make extreme sounding statements about things that happened at “tough camp”. 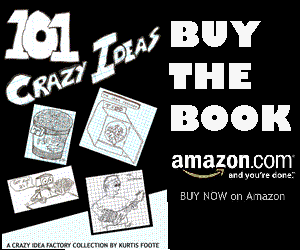 This crazy idea is inspired by the Illustration Friday phrase of the week, old-fashioned. One Comment on "When I Was Your Age My School Was Up Hill Both Ways"
Next up: “I Survived Tough Camp” T-shirts?